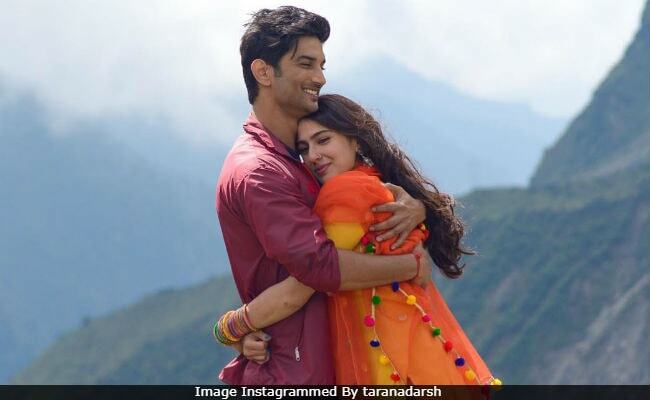 Sara Ali Khan and Sushant Singh Rajput's new film Kedarnath had a 'good weekend' and earned over Rs 20 crore during the period, trade analyst Taran Adarsh reports. The film opened to mixed reviews on Friday and on Day 1, it earned Rs 7.25 crore. On Saturday, the collections went up to Rs 9.75 crore and Sunday's earning were Rs 10.75 crore. "Kedarnath has a good weekend, witnessing substantial growth on Day 2 (34.48 per cent), but limited growth on Day 3 (10.26 per cent). Sustaining well from Monday to Thursday is pivotal. Friday 7.25 crore, Saturday 9.75 crore, Sunday 10.75 crore. Total: Rs 27.75 cr," Taran Adarsh tweeted. Take a look at Kedarnath's box office report here. #Kedarnath has a good weekend, witnessing substantial growth on Day 2 [34.48%], but limited growth on Day 3 [10.26%]... Sustaining well from Mon to Thu is pivotal... Fri 7.25 cr, Sat 9.75 cr, Sun 10.75 cr. Total: 27.75 cr. India biz. Kedarnath is Sara Ali Khan's debut Bollywood film. The film is set against the backdrop of 2013 Kedarnath floods and tracks the love story of Sushant (a Muslim porter) and Sara (a Hindu pilgrim). In his review for NDTV, film critic Saibal Chatterjee gave Kedarnath 2 stars out of 5. "Kedarnath is a two-hour film, so the demand it makes on your time is reasonable. The special effects aren't up to scratch nor is the screenplay, but do watch the film for Sara Ali Khan," he wrote. Kedarnath is directed by Abhishek Kapoor, who also launched Sushant in Bollywood with 2013's Kai Po Che!. The film hasn't yet been cleared for a release in Uttarakhand. After Kedarnath, Sara Ali Khan will be seen in Rohit Shetty's Simmba, which releases on December 28. The film stars Ranveer Singh opposite Sara.